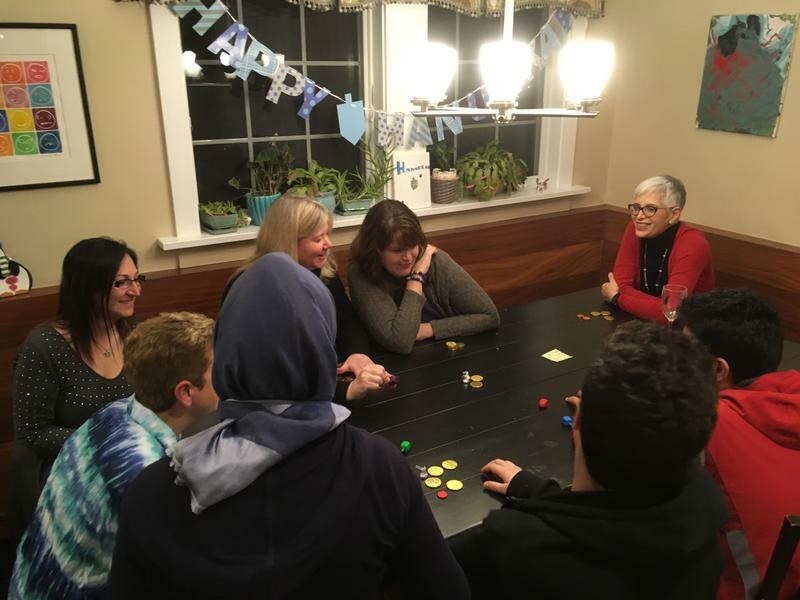 Temple Rodef Shalom in Falls Church, Va., is one of many Jewish congregations across the country that have been helping to resettle refugees in America. Three years ago, its members agreed to sponsor a Muslim refugee — a single mother named Tilko who fled Iraq with her children and who was originally brought to this country by a Christian charity. Tilko asked not to be identified by her full name because she fears for her safety. The smell of steaming jelly doughnuts fried in oil carried through Lincoln Road on Sunday, the eighth and final night of Hanukkah festivities on Miami Beach. 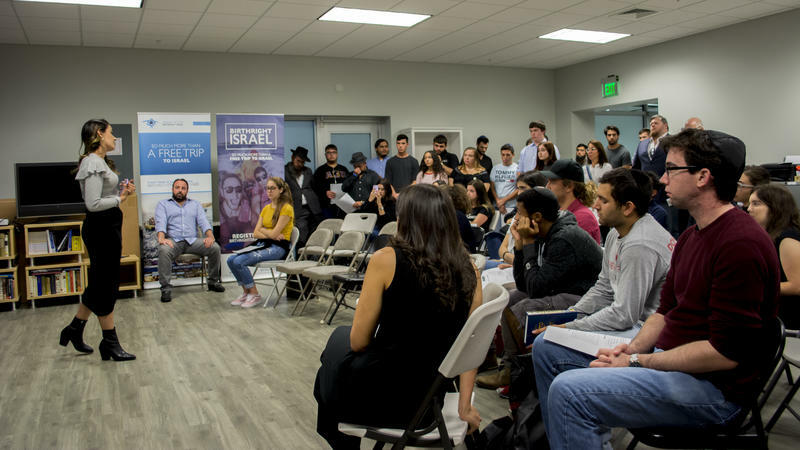 Between improvised versions of ‘I Have A Little Dreidel’ and lighting the menorah, members of the Jewish community reflected on a challenging few months. 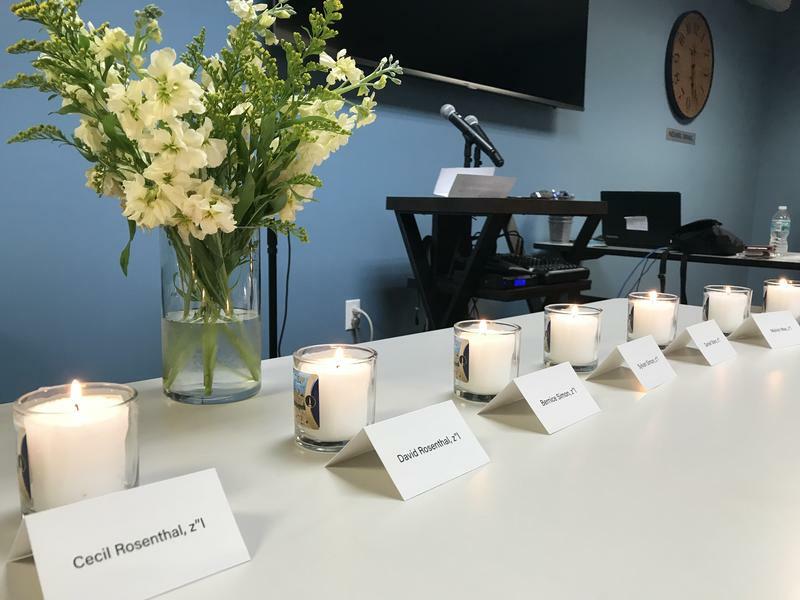 More than a week after 11 people were shot and killed at a Pittsburgh synagogue, Key Westers of many faiths gathered at South Florida's oldest Jewish Congregation to speak out against anti-Semitism. 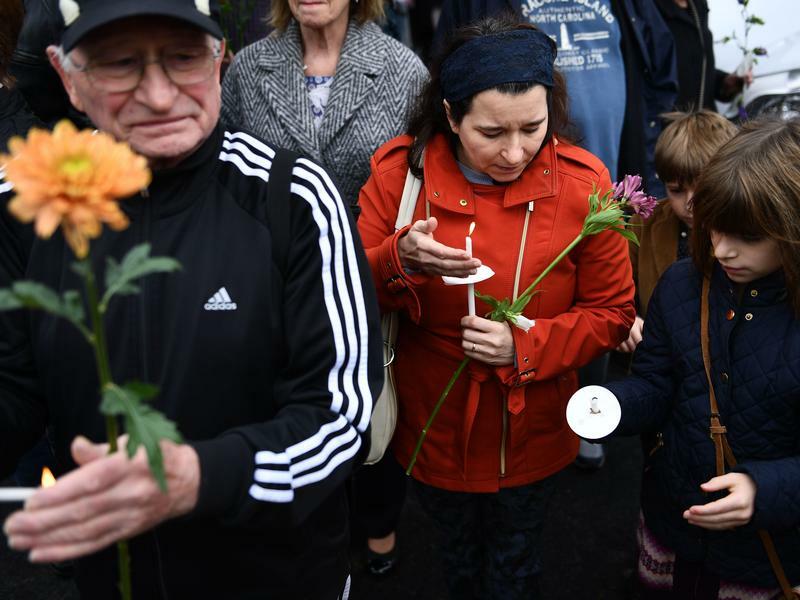 More than 100 people attended the service and read the names of the 11 people who died. 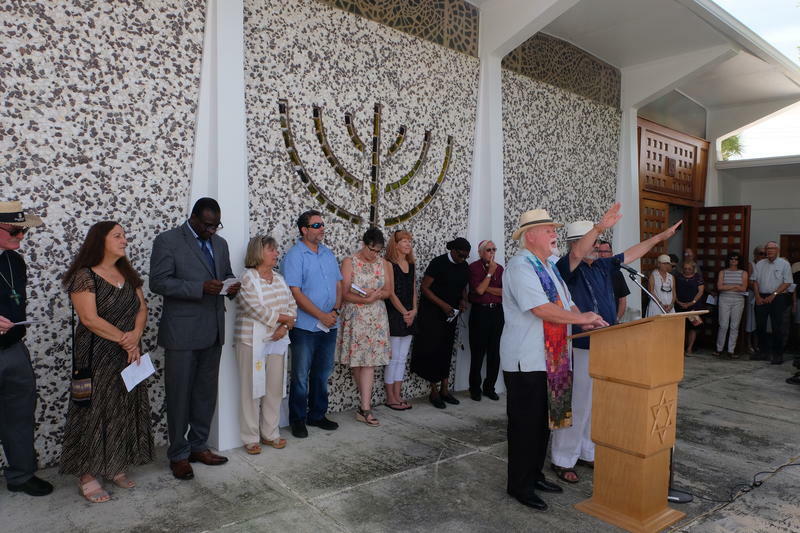 Rabbi Simon Dudai of Congregation B'Nai Zion in Key West led the group in the Mourner's Kaddish. Afterward, he said the service and the number of people who attended showed Key West living up to its official motto, One Human Family. 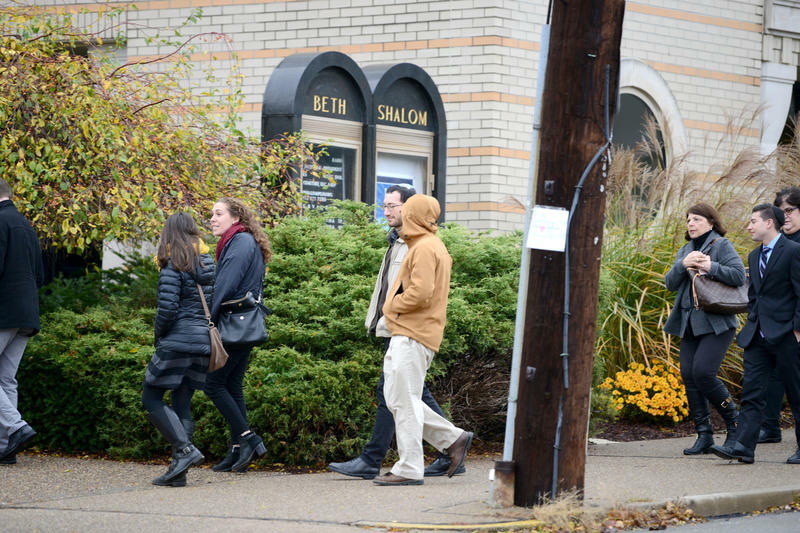 The final burial took place Friday for the last of the 11 people killed by a gunman at the Tree of Life synagogue one week ago. 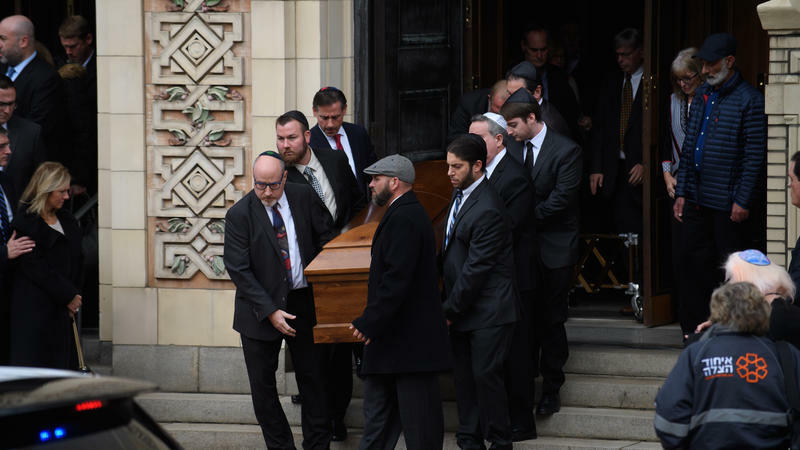 For Rabbi Daniel Wasserman, it was a week unlike any other. 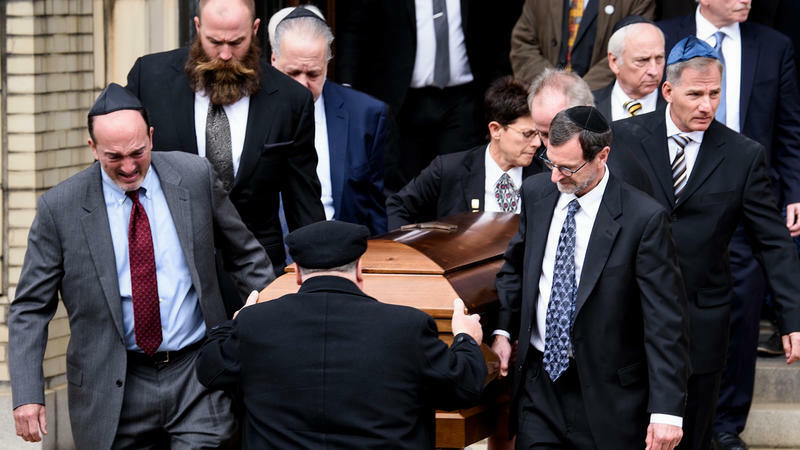 Wasserman is a member of Pittsburgh's Orthodox chevra kadisha, as a Jewish burial society is known. 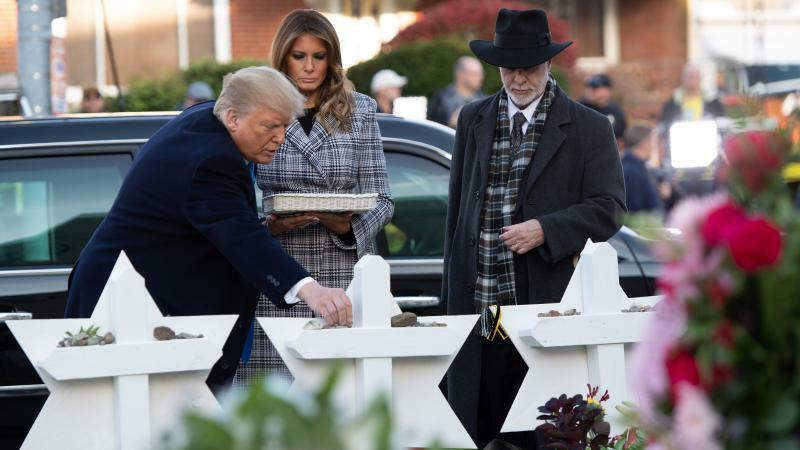 According to Jewish custom, a body is not supposed to be left alone from the time of death until the time of burial, and all remains must be buried with the body. 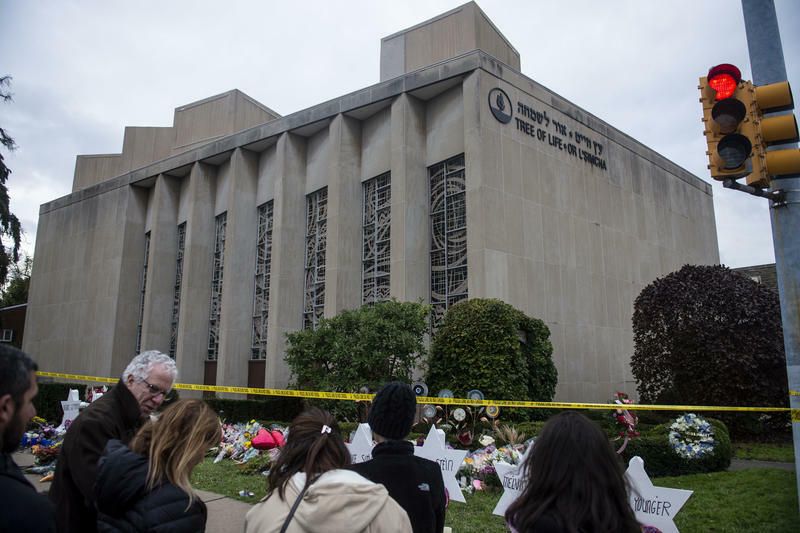 The suspect in Saturday's Tree of Life Synagogue shooting walked into a federal courtroom in Pittsburgh on Thursday and pleaded not guilty to all 44 counts against him. The case is set for a jury trial and could result in the death penalty. A day earlier, a federal grand jury charged Robert Bowers of Baldwin, Pa., with the murder of 11 people, as well as with hate crimes. 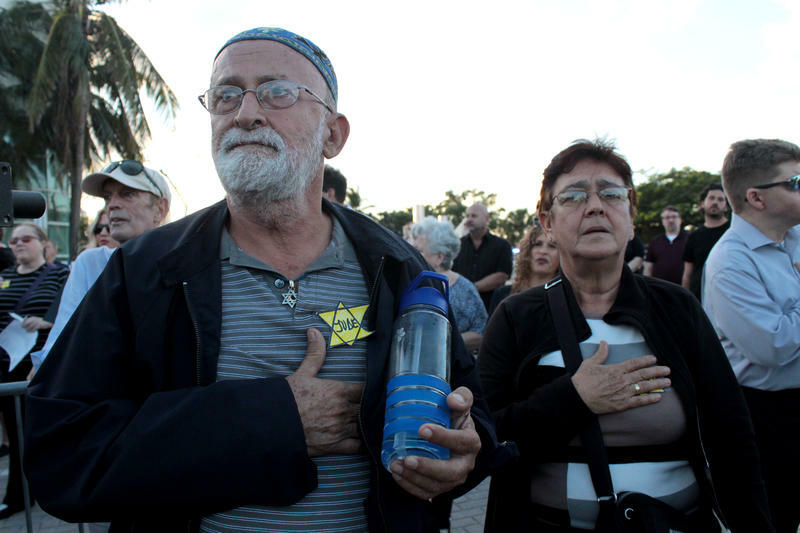 Hundreds of people gathered at the Miami Beach Holocaust Memorial Tuesday evening to remember the lives of the 11 worshipers massacred at a Jewish synagogue in Pittsburgh over the weekend. Three men are in custody, charged in three separate cases of domestic extremism last week. 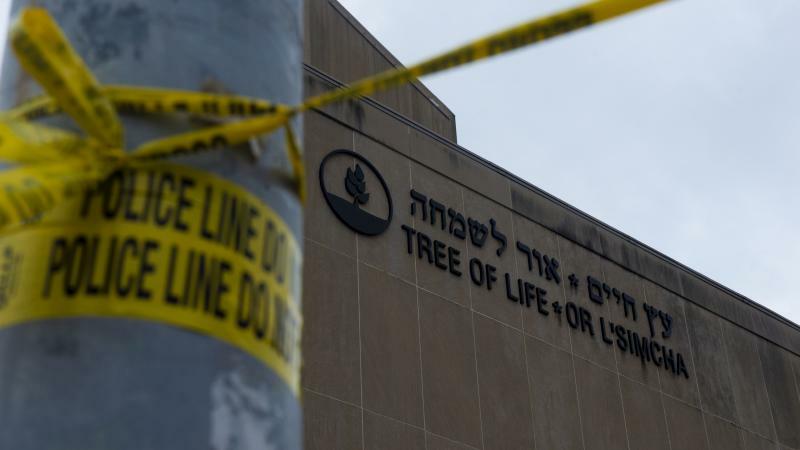 Two were deadly shootings — one at a synagogue in Pittsburgh, Pa., the other at a grocery store in Louisville, Ky. — and the third involved explosives sent through the mail from Florida. The suspects fit a pattern well-established in recent years: troubled, American-born men who appeared to be acting alone and driven by hate. 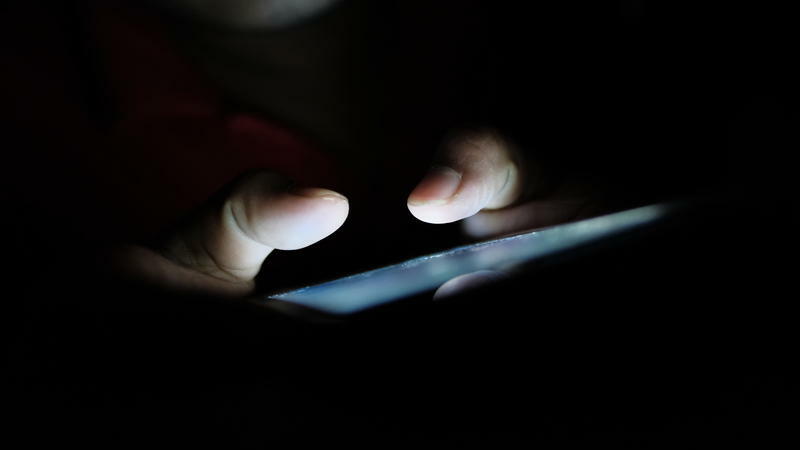 The alternative social media network that was reportedly used by the suspect in the deadly shooting at a Pittsburgh synagogue is now down. Robert Bowers, the suspect in the shooting at a Pittsburgh synagogue on Saturday, surrendered to police, and officials say he is in fair condition at Allegheny General Hospital with multiple gunshot wounds. Authorities say that while Bowers' motive remains unknown, "we believe he was acting alone." Eleven people were killed in the attack, and six were injured.